As reported by Mommy Points, United has some plentiful award space to Australia over the next couple of weeks. While a trip to Australia probably isn’t a spontaneous thing for most, there is plenty of award space for the family on some days next week and in early July – with some days having as many as nine seats available in business class. While United charges 80K each way for these awards, Summer points out that you can book these awards for 120K points round trip with ANA. As a reminder, ANA is an Amex Transfer Partner. You could also redeem for a Marriott Travel Package, though you’ll only get 85,000 ANA miles, and potentially not in time. On that note, transfers from Membership Rewards aren’t instant either, so you might consider whether or not you want to wait for a transfer if you have United Miles or Ultimate Rewards (which would transfer to United instantly). Availability really plummets at 8 seats — but how often do you see eight business class award seats on a single nonstop flight? Most of the dates I checked were available on the nonstop flight from Houston to Sydney. Availability also exists out of San Francisco. You won’t take the whole crew, but here is availability for 2 passengers out of San Francisco. If you do have ANA miles on hand, these certainly are available for 120K and $112.72 round trip. As you can see, it’ll cost you a little more in fees, and that particular itinerary isn’t too convenient because of the airport change. 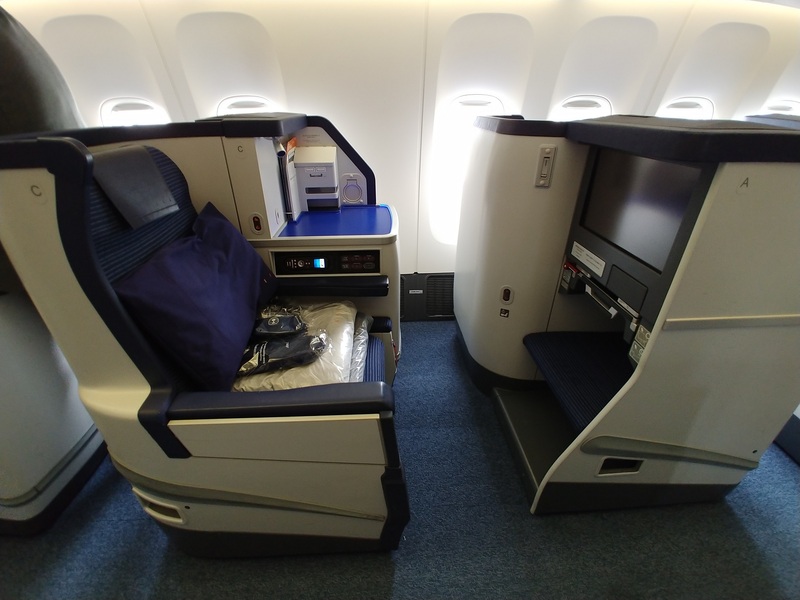 However, I flew ANA business class last month and I was impressed. The seats were comfortable, the service was excellent, and the food was delicious. On the other hand, how often can you get to Australia from the US nonstop on an award ticket? Now take that and consider how much of that time you can bring seven other people and you’re pretty much at never. Also, as noted above, ANA transfer times are slow. My recent transfer from Amex to ANA took a few days. The space I wanted disappeared in that time. It later came back…but my point is that I wouldn’t transfer to ANA for this award unless you’re OK with the possibility of it disappearing (and you have other plans for the ANA miles as a backup — which shouldn’t be hard).